Redcliffe Hygiene Pvt. Ltd, which manufactures toilet seat sanitiser spray PeeSafe, has raised $1 million (Rs 6.4 crore) in pre-Series A funding from a clutch of investors including Mumbai-based Venture Catalysts, Detroit- and Mumbai-based Alfa Capital, Green Shots Capital and Real Time Ventures, a company statement said. Others who invested in the round include Harshita Mehta Jain, vice president at Redcliffe Capital, and Govind Rajan, former CEO of digital wallet firm FreeCharge. Quadrant, an FMCG distribution company, also put in money. “PeeSafe...[has] got interest from global retailers and distributors and [is] already building manufacturing alliances in Europe and SE Asia,” the statement added. “With the funding, we will...achieve our objective of...reaching out to 10% of our target market through 1 lakh stores by the end of this calendar year in India alone,” said Vikas Bagaria, founder of PeeSafe, and Dheeraj Jain, director at Redcliffe Hygiene. PeeSafe, which claims to have sold over 2 lakh units since its inception in 2015, is available on e-tailers including Flipkart and Amazon as well as retailers such as Le Marche, 98.4 Pharmacy and Global Healthline. 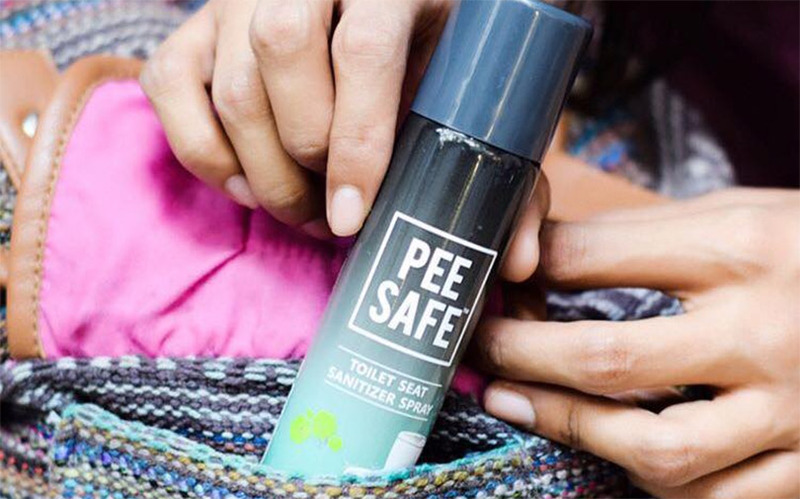 Founded by the husband-wife duo of Vikas and Srijana Bagaria, PeeSafe is an isopropyl alcohol-based toilet seat sanitiser in the form of a quick-drying aerosol. Redcliffe Hygiene has also entered other sub-personal hygiene segments through products like GymSafe, PalmSafe and MoskitoSafe, the statement said. In April this year, Gurgaon-based venture capital and special situation investment firm Redcliffe Capital made a strategic investment in SafetyKart.com, an e-commerce platform for safety and hygiene products operated by SafetyKart Retail Pvt. Ltd. As part of the deal, Redcliffe acquired SafetyKart’s PeeSafe and moved the product line into a newly founded entity Redcliffe Hygiene Pvt. Ltd. Bagaria had joined the founding team. Another startup operating in the space of hygiene and wellness is PeeBuddy, whose funnel-shaped female urination device helps women urinate while standing. The startup has secured a funding of Rs 2.96 crore from Indian Angel Network. Ahmedabad-based startup Saathi produces biodegradable sanitary napkins made of banana fibre. The napkins are both skin- and environment-friendly.